This is one of the best attributes of iron fence for security. The inherent nature and strength of iron and steel vs other materials means that trying to break through is going to be more difficult. Chain link can easily be cut. Aluminum is a lighter metal that bends easier and can be broken. Vinyl can easily be cracked and broken through. Wood slats can be pried off. To cut through an iron fence, you are going to need to bring some heavy-duty tools. Simple kicking and batting at it is not going to make an opening. You can also weld the entire iron fence together to the posts for an extremely strong and secure fence. This goes double if you utilize a heavier-duty iron fence like our Signature grade fence. The open construction of an iron fence with its rails spaced fairly far up to 4ft or 5ft apart on 5ft and 6ft tall fence panels means that even if someone jumps up and grabs the top, trying to swing a leg that high is going to be difficult. The pickets have a fairly small contact patch for shoes to really get traction. In addition, if you go with something like our Classic style iron fence with the finial tips on top, that makes climbing over more difficult as well. Wood fences can be climbed easier with being able to get foot traction on the boards. Same on vinyl. Chain link is the worst since those small openings provide lots of hand and foothold spots to climb the fence. The welded construction of an iron fence means that the panel is one solid piece that cannot be taken apart or broken easily. Even the weak spot on an iron fence where the bracket connects to the post can be welded for a single joined unit with no separate parts. Having a solid fence like that makes quiet entry almost impossible. Aluminum fence can be unscrewed and the pickets slid out. Wood slats can be pried back. Vinyl can be easily broken or peeled. Chain link can quietly be snipped with cutters. While some people think that obstructing the view onto your property is a good security measure, it can actually backfire. Its still easy to see through wood slats or privacy sheets and even cheap drones can be used to get a view over a fence line. Having an open design fence like an iron fence (and aluminum too) where there is about a 4in air gap means that if someone does get in the property, they have nowhere to hide. On something like a wood or vinyl fence, once they are in they can no longer be seen from the street and it gives them a guarded hiding spot from view outside of the property. The openings in an iron fence means that getting through the fence does not equal guarded cover for an intruder. This one is a bit more opinion based (and I may be a bit biased), but an iron fence can act as a security fence without being an eyesore. As a matter of fact, iron fence often helps increase a home’s curb appeal with a more upscale look. A chain link fence may act as a barrier, but it is going to look horrible in front of a nicer home. Wood fence can look nice when its new, but with time its going to grey out, get water/ mold streaking or need staining to keep it looking nice. Vinyl fence can also go from nice to grime covered in a short period of time without constant washing. The wood and vinyl options will also block the view of the home which can ruin curb appeal and give a more ‘prison yard’ feel with taller fences. 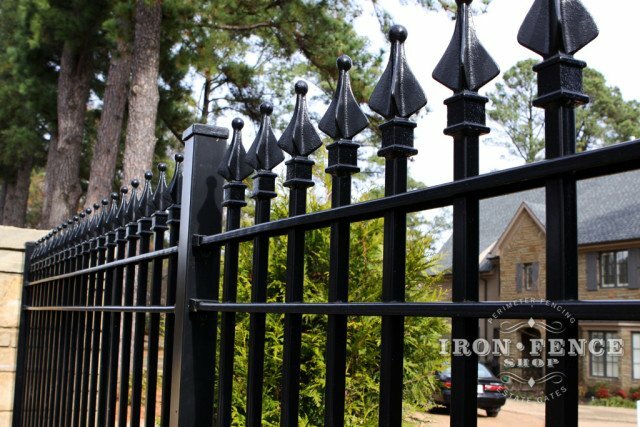 Wrought iron fence really does make the best overall security fence in regards to its a fence that not only performs, but looks nice and is secure to boot. 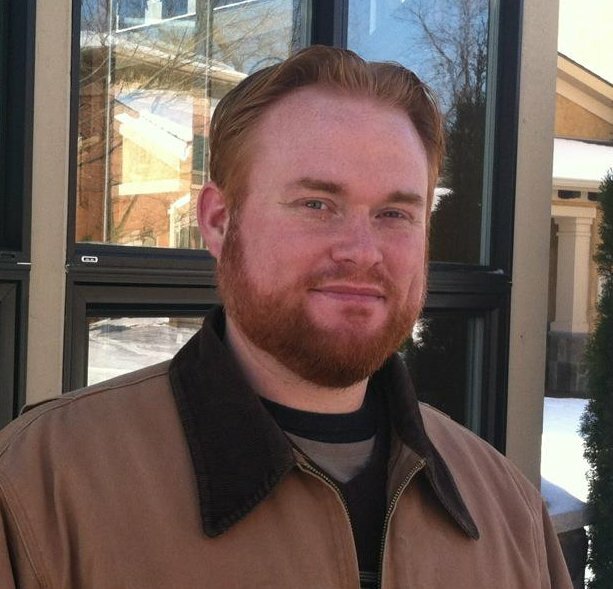 Have questions about putting in a security fence? Give us a call at 800-261-2729 or shoot us an email at [email protected] and we would be happy to help out!